Ex-library book. The item shows wear from consistent use, but it remains in good condition and works perfectly. All pages and cover are intact (including the dust cover, if applicable). Spine may show signs of wear. Pages may include limited notes and highlighting. Fair. 0140089373 Item in acceptable condition including possible liquid damage. As well, answers may be filled in. Lastly, may be missing components, e.g. missing DVDs, CDs, Access Code, etc. Fools Crow is a vivid fictionalized account of the events that led up the Marias Massacre in 1870 that has escaped the attention of history. James Welsh draws from his family history; from his father, he is related to Malcolm Clark, whose murder triggered the massacre; and from his great grandmother who survived the massacre. 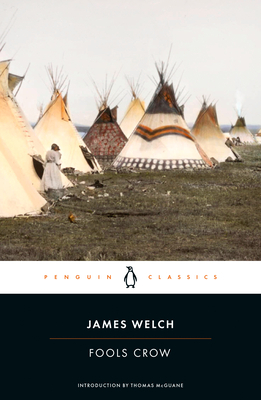 It is the story of a Blackfoot brave named Fools Crow, and is filled with his visions and conversations with his animal brothers; of expeditions against enemy tribes; of bravery and of cowardliness. It is a journey through the mind of a man struggling with why his people have fallen from favor with their creator.